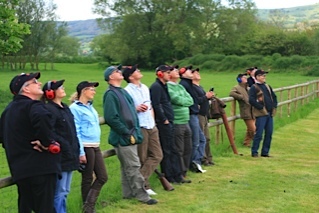 For you and your clients, we will provide everything for your day's enjoyment, including gun hire, cartridges, tuition and clay pigeons over a wide and varied course. 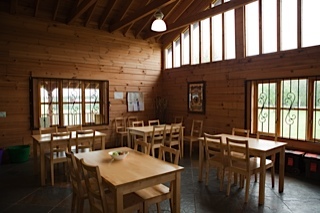 Refreshments are available from a choice of traditional home-cooked food, served in our luxury log cabin. Your day will be individually tailored for your company budget and number of guests. 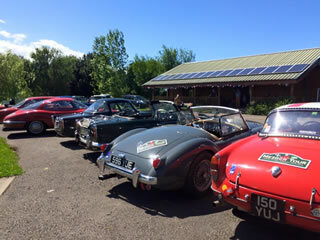 The corporate event package is designed/suitable for weekdays - if you chose Monday, Tuesday or a Wednesday, you're likely to have Brook Bank facilities to yourself. Please phone/email for a detailed quote. Small groups, each allocated an instructor and equipment to begin morning practice session. Prize giving with tea and home-made cakes.